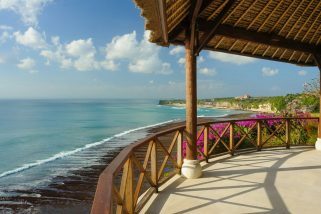 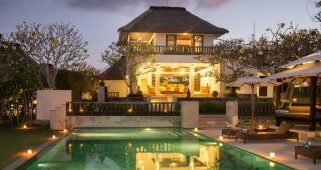 Spread over two floors and served by highly trained staff this villa delivers guests a truly 5 star experience. 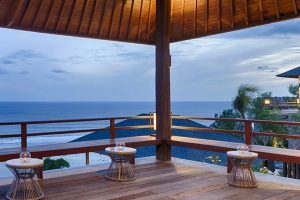 An amazing deck, overlooking the gorgeous waves of the Indian Ocean provides the central hub of this holiday home and offers not just a great place to hang out and catch a few rays but also a fantastic setting for sun downers and a BBQ. 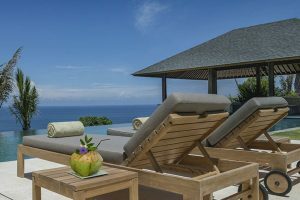 Featuring an idyllic 22 metre infinity pool and plenty of places to relax and soak up the tropical ambience, including a bale where staff serve drinks. 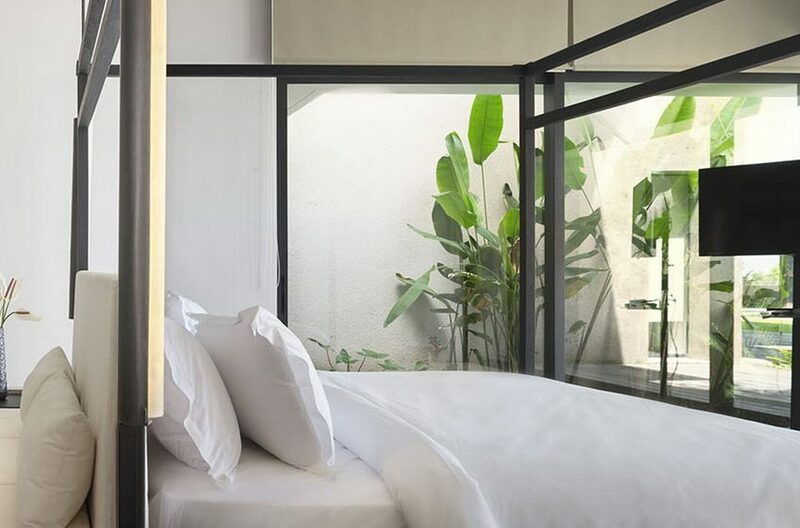 The contemporary living accommodation is split between a cool air-conditioned indoor area and a breezy outdoor terrace providing optimum comfort. 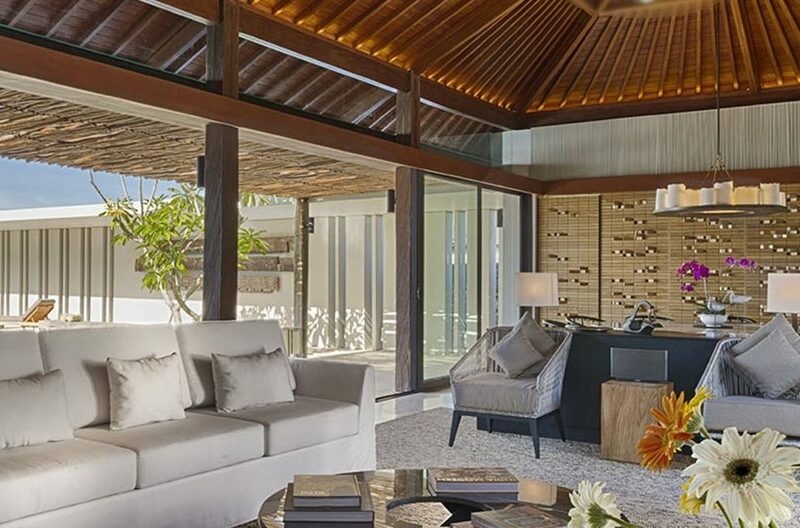 Inside, under a soaring teak, vaulted roof are two oversized sofas and designer rattan chairs which surround a black marble coffee table. 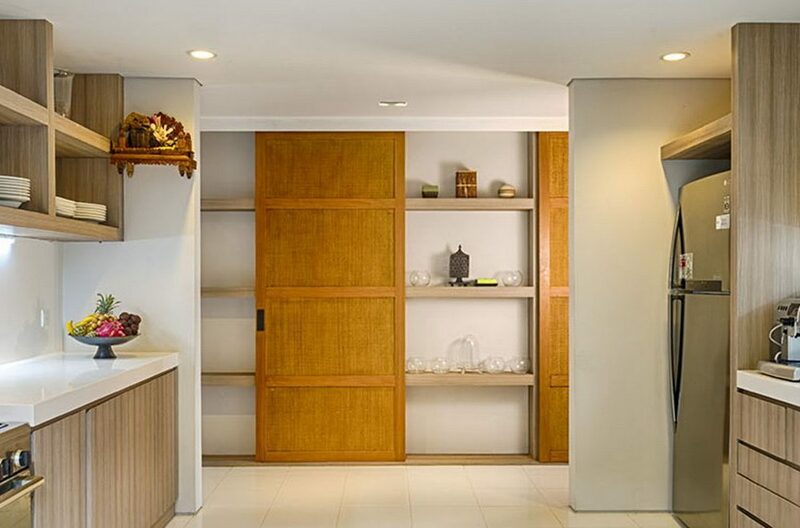 Alongside this is an imposing marble topped dining table with seating for 12 and tucked away behind pivot doors is a fully equipped media room perfect for a movie night. The outdoor section of the living pavilion is contained on an extensive open sided ironwood veranda, one of the best places on the property to enjoy the ever changing panorama of the ocean. Elsewhere on this level is a further alfresco dining table with seating for 10 people. 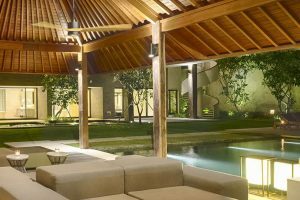 Additionally, tucked away below the swimming pool, is a well-equipped gym with a private garden, a sauna and a steam room. 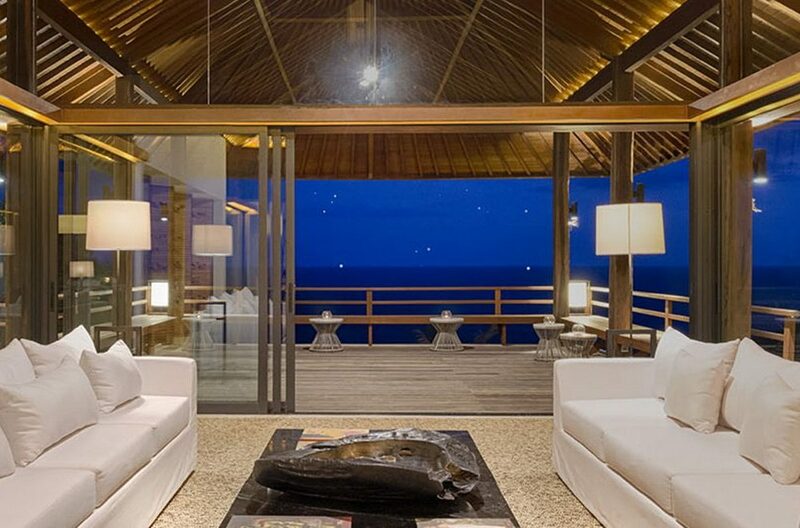 If required, the gym can be converted into a spacious ocean-view conference room. 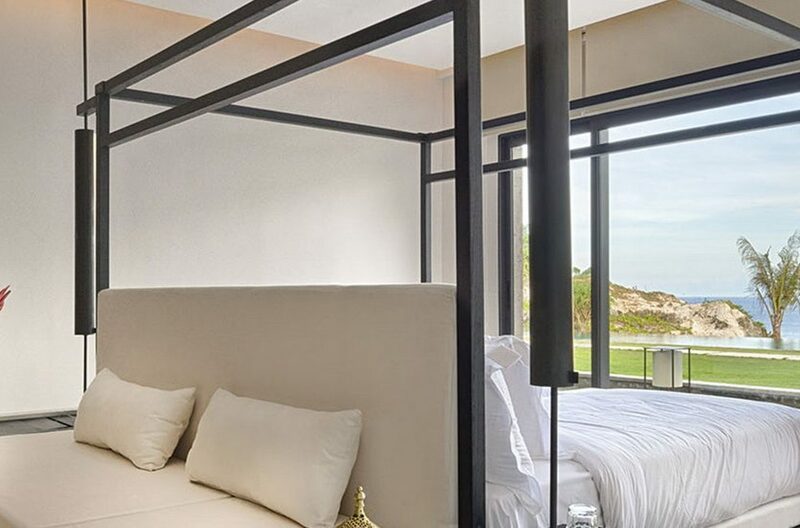 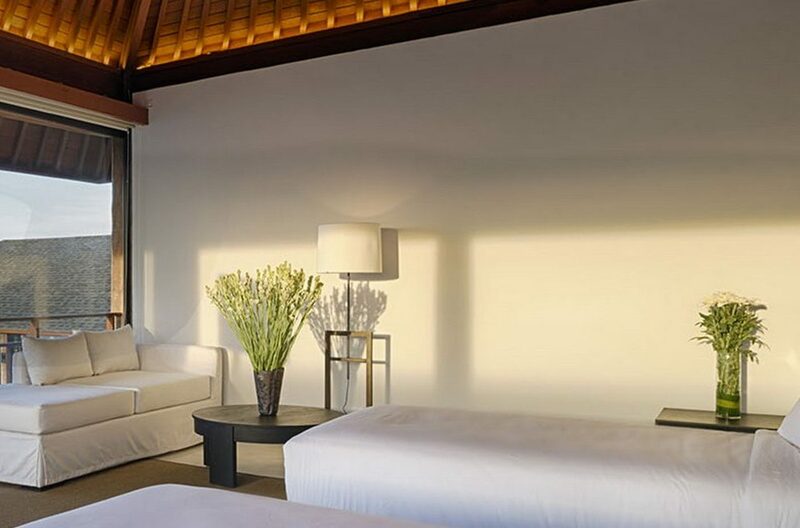 The extensive master suite is stunningly situated with breath-taking views across the pool and the sparkling ocean which can be viewed from the comfort of the impressive Emperor bed. 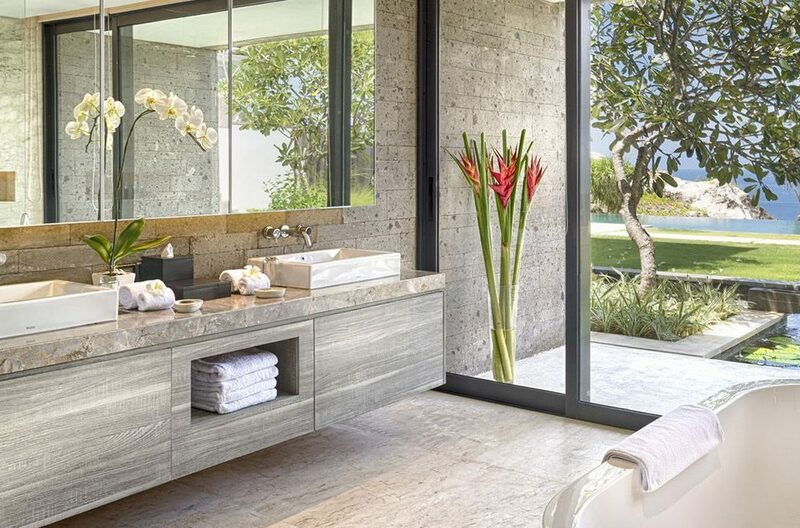 The bath tub in the adjoining ensuite is also blessed with this incredible panorama and both rooms open up onto a lotus lined deck with a private seating area. All of the further bedrooms are spacious, air-conditioned and equipped with Satellite TV and DVD players. 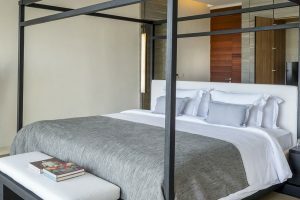 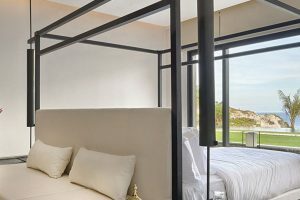 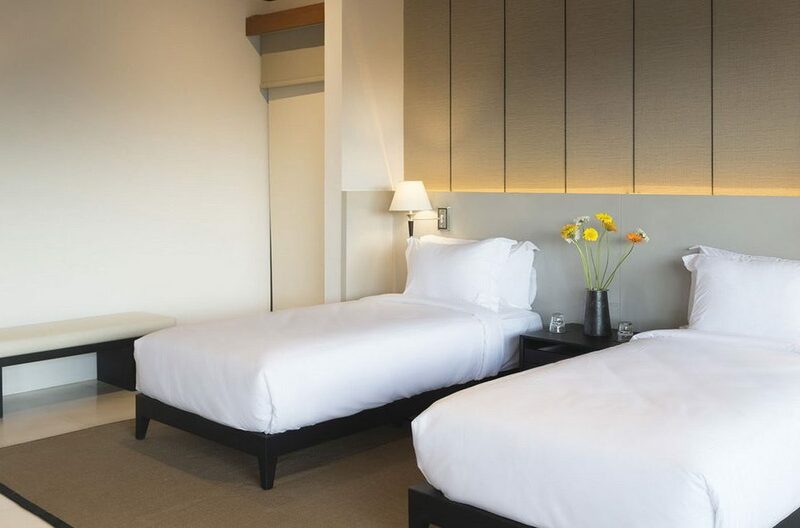 The slick, modern furniture has all been custom made and the double beds split into two singles providing plenty of options depending on the configurations required by guests. 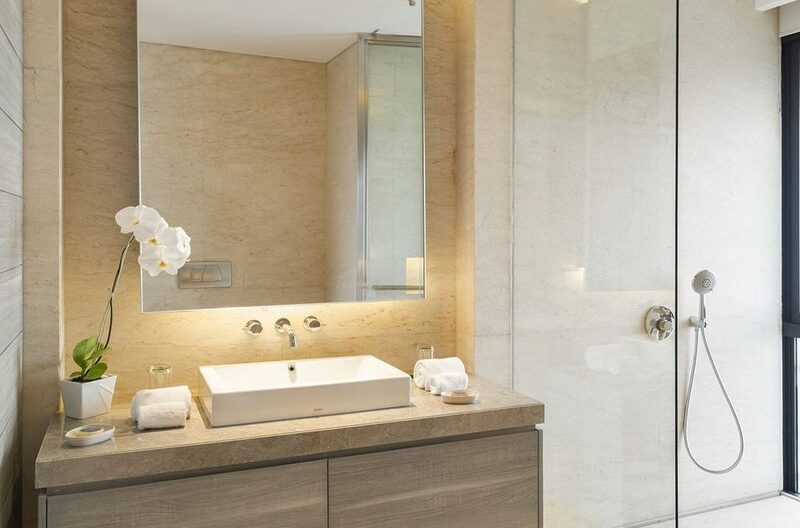 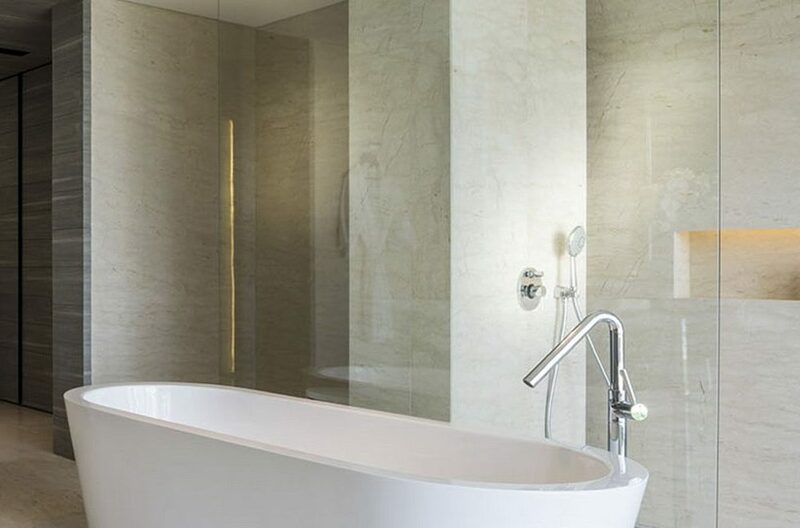 All have cutting edge ensuites which are characterised by Javanese marble and smoked glass. 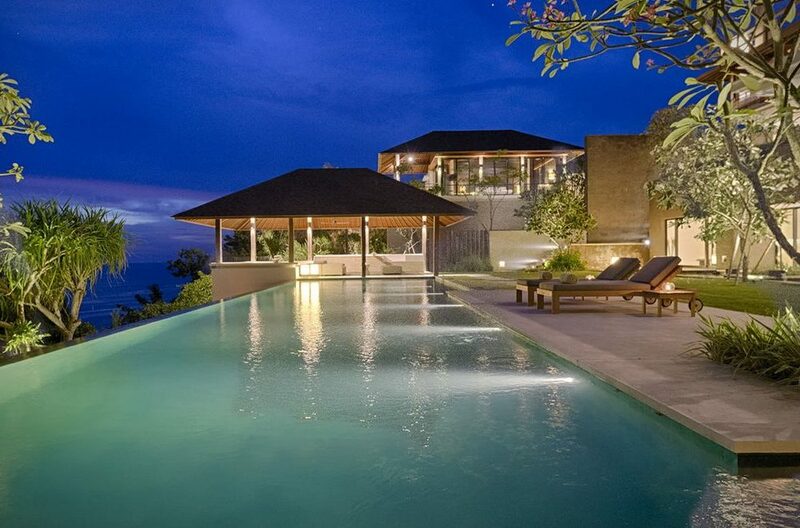 Two of these have bathtubs and all have monsoon showers. Built as part of an exclusive 2 villa enclave this property shares a team of ten staff, including a villa manager, villa attendants, chef, gardener, engineer and security with the neighbouring 4 bedroom Villa Hamsa. 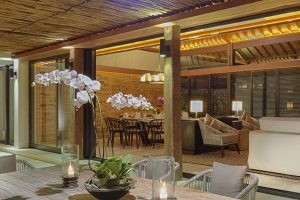 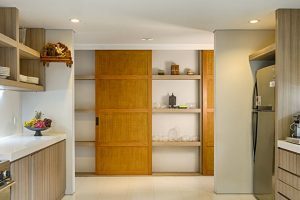 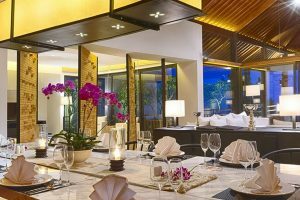 The talented chef provides an extensive suggested menu including Balinese, Indonesian, Asian and Western favourites as well as children’s dishes and a spectacular BBQ option. 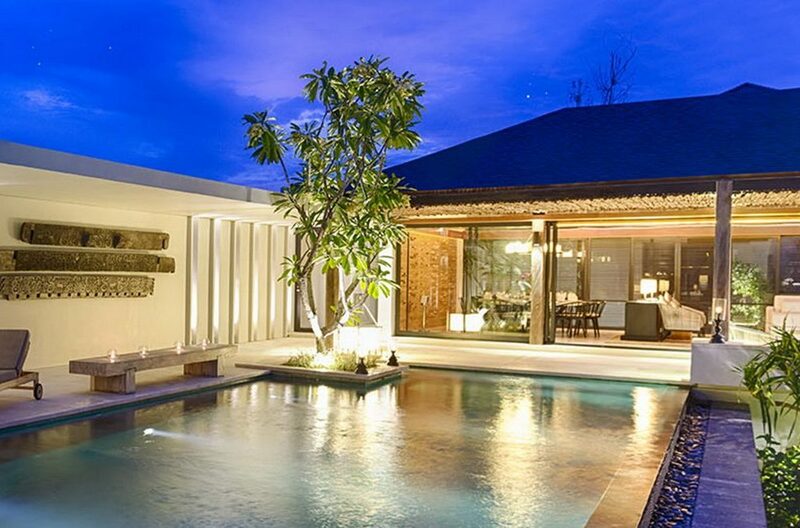 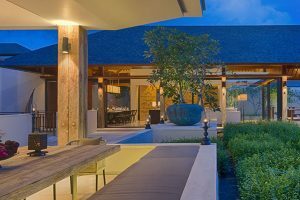 The two villas can be booked together and special gatherings from lavish exotic weddings to stylish corporate events. The ultimate in luxury and sophistication, the magnificent Bayuh Sabbha villa sits on a glorious 3 acres of land, and is designed with antique themed “glamping” architecture. 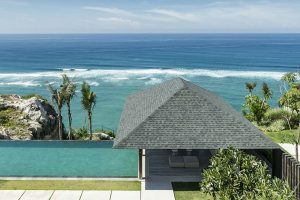 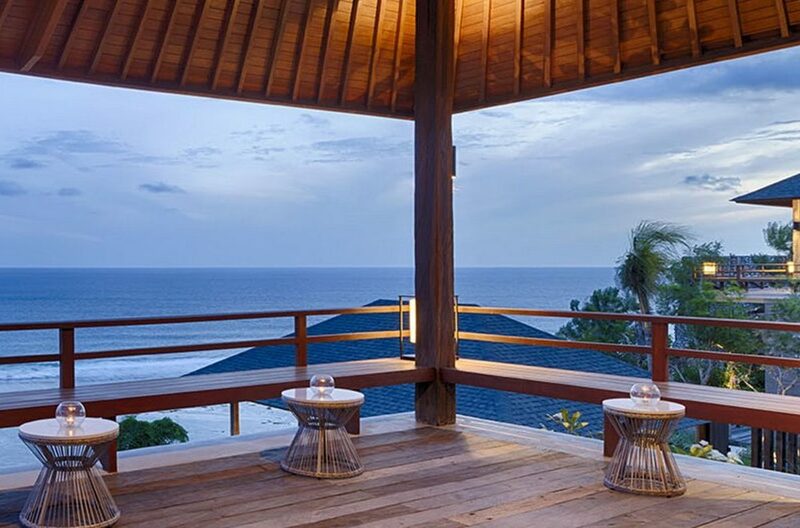 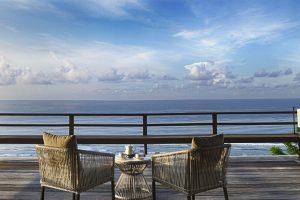 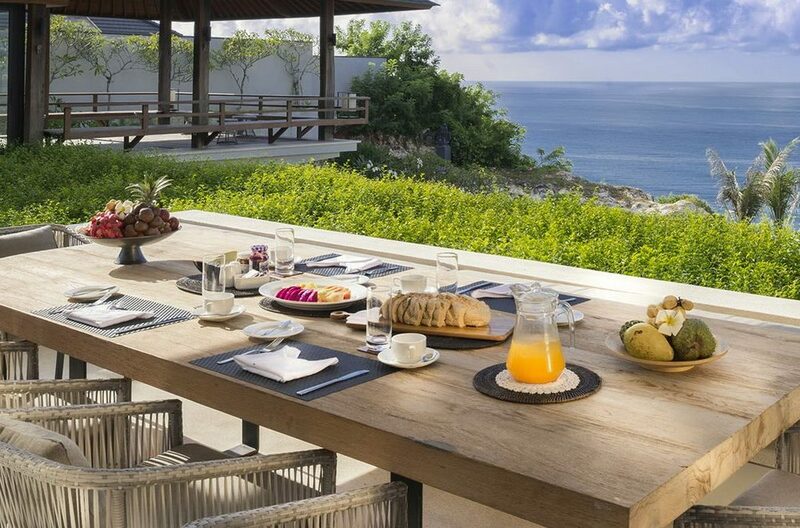 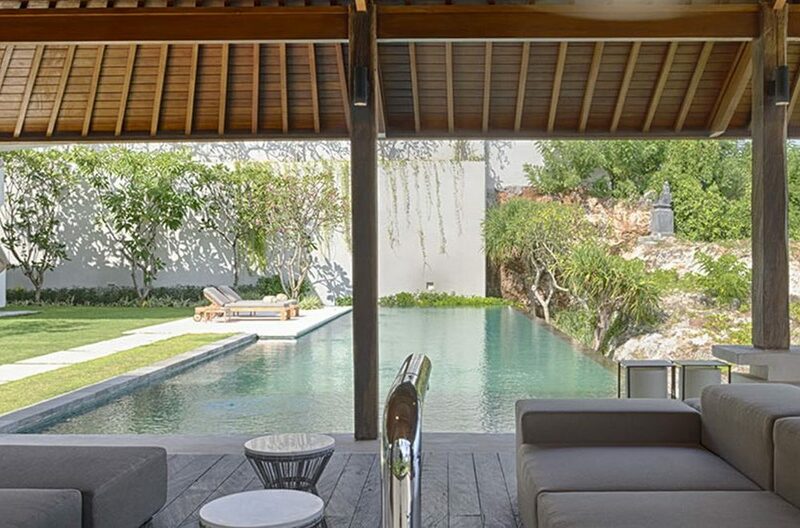 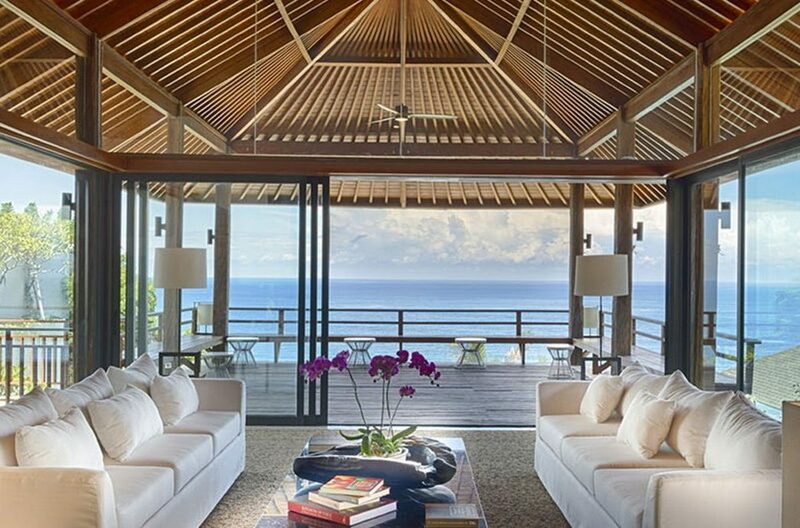 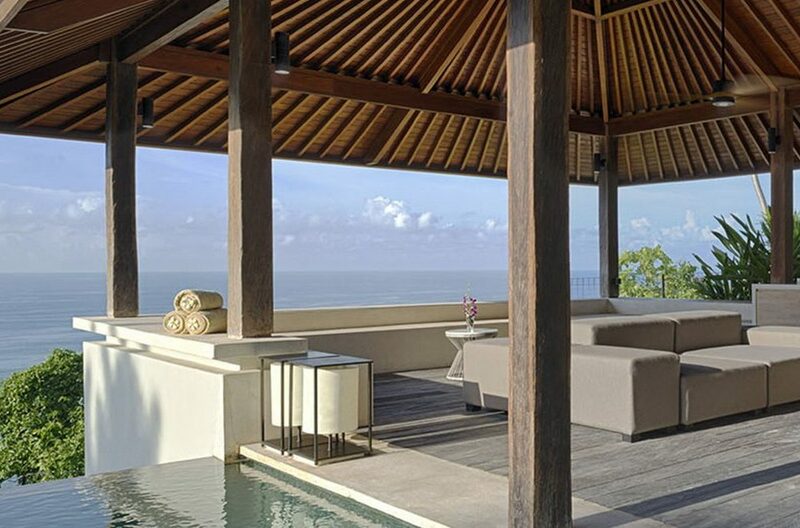 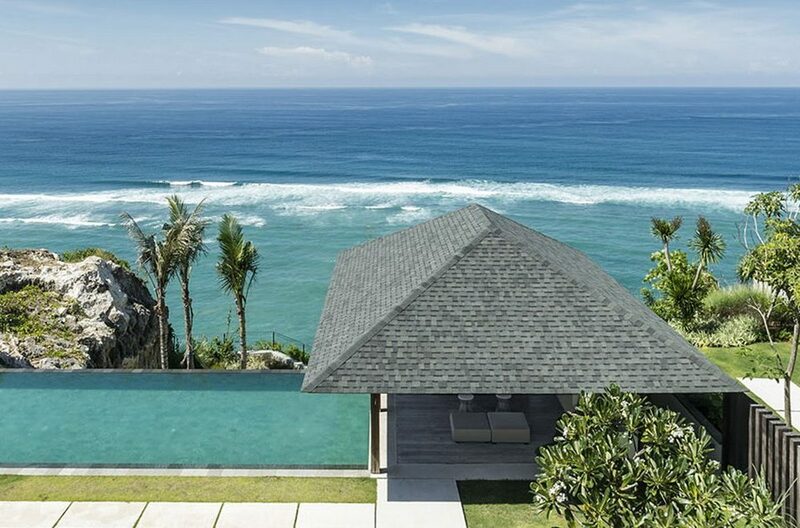 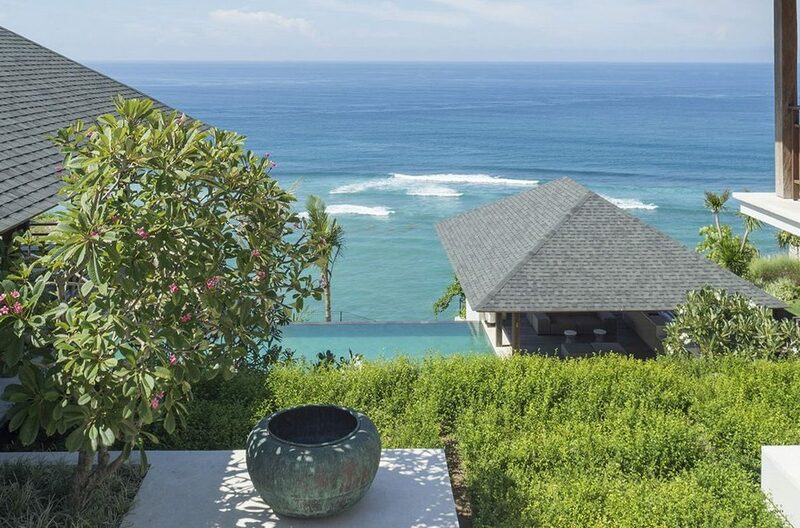 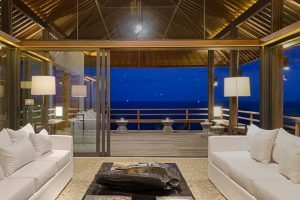 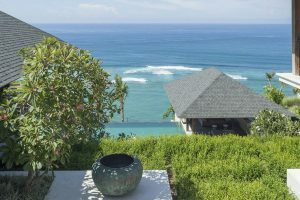 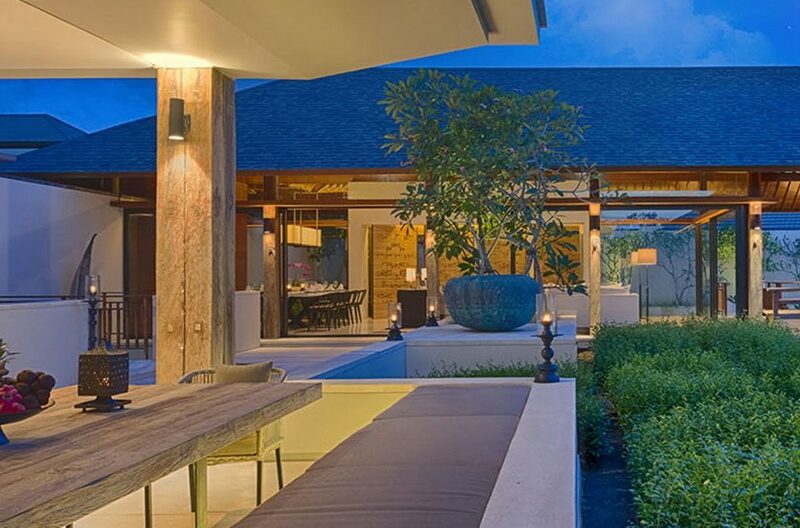 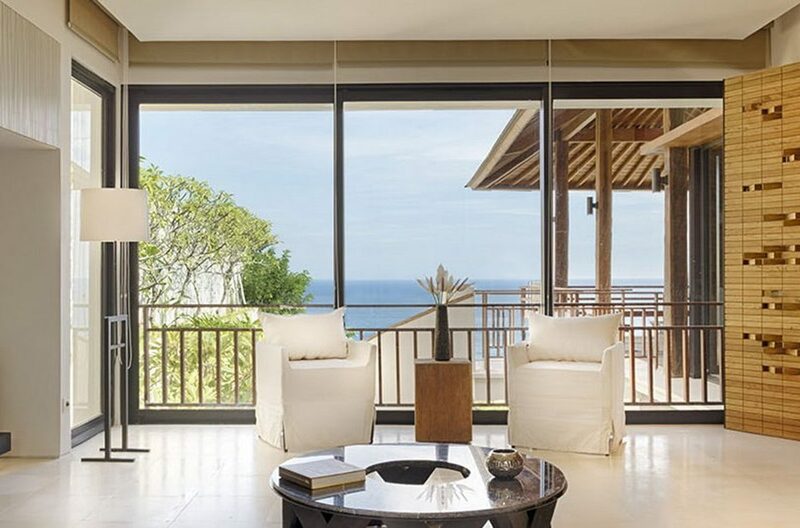 Villa Karang Nusa is part of a luxurious three villa estate situated on the southern tip of Bali at Uluwatu.